Polycotton Fleece track pant with elasticised waist and partial side openings concealed by side pockets. 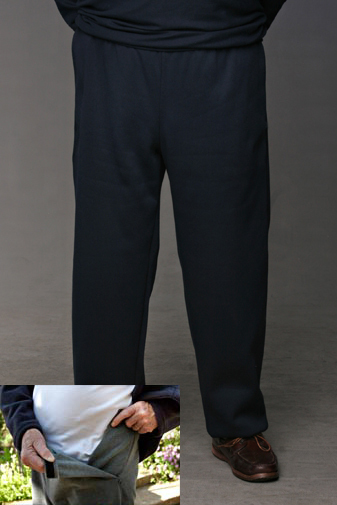 Darted, flat fronted pant. Partial side opening are concealed by side pockets. 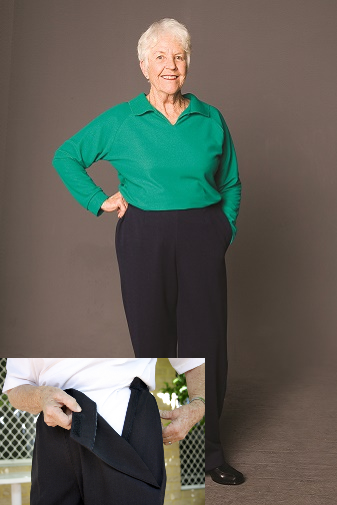 The double knit polycotton fabric is soft, warm and comfortable but very smart – as comfortable as track pants. 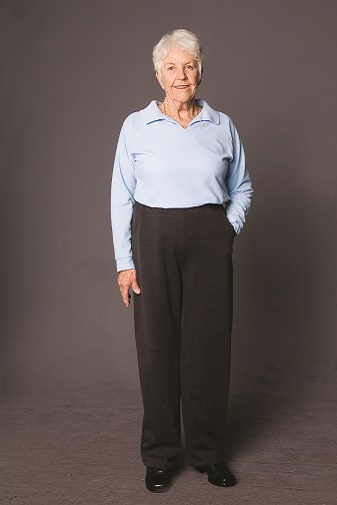 Double knit polycotton pull-on pant with elasticised waist and side pockets. 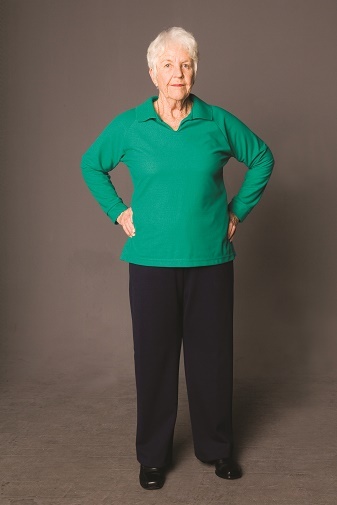 The double knit polycotton fabric is soft, warm and comfortable but very smart – as comfortable as track pants. Our fully back-opening dropwaisted dress is made of soft, comfortable poly-cotton fleece. This dress has raglan sleeves and a feminine neckline with a collar and buttonless neck opening. Fully back-opening polycotton fleece windcheater. 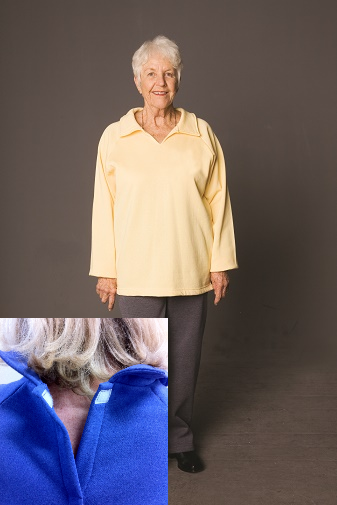 This windcheater has raglan sleeves and a feminine neckline with a collar and buttonless neck opening. Fastenings are neat, flat & comfortable. Fully back-opening polycotton fleece windcheater with front print (choice of 2 designs – Floral brooch & Daisy Chain). 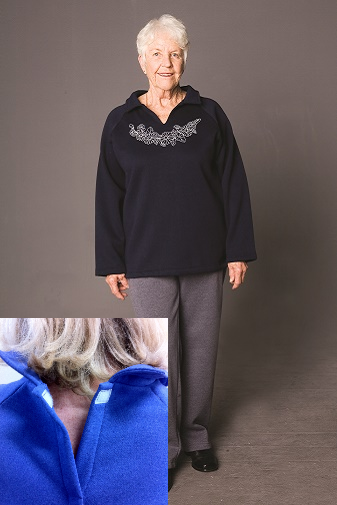 This windcheater has raglan sleeves and a feminine neckline with a collar and buttonless neck opening. Fastenings are neat, flat & comfortable. Long sleeved fully back-opening polycotton pique polo shirt with soft band at cuffs. 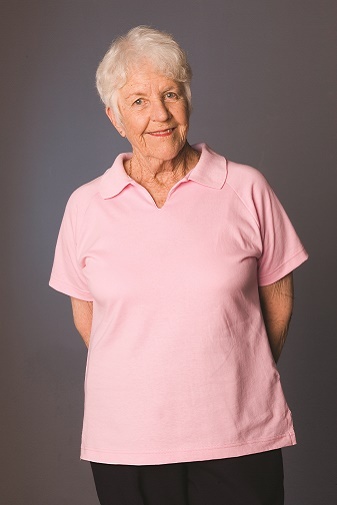 This polo has raglan sleeves and a feminine neckline with a collar and buttonless neck opening. Fastenings are neat, flat & comfortable. Long sleeved polycotton pique polo shirt with soft band at cuffs. 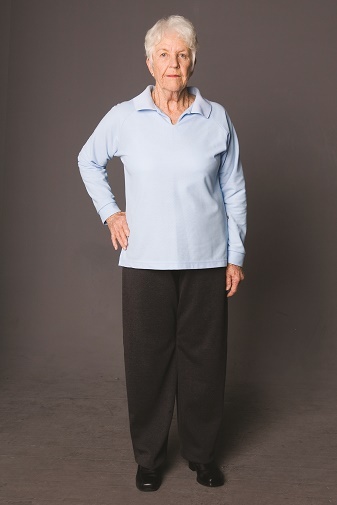 This polo has raglan sleeves and a feminine neckline with a collar and buttonless neck opening. 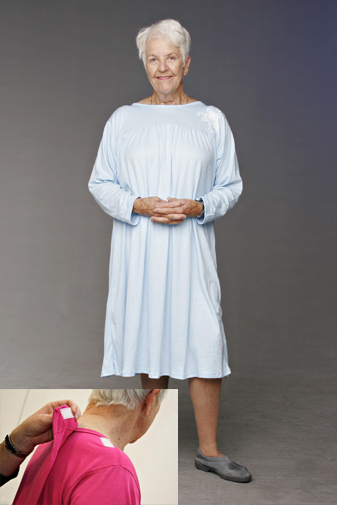 Below knee length long sleeved, crossover fully back-opening nightgown with front yoke, features a decorative “brooch” style floral print on left side. Below knee length short sleeved, crossover fully back-opening nightgown, features a decorative “brooch” style floral print on left side. Below knee length sleeveless, crossover fully back-opening nightgown, features a decorative “brooch” style floral print on left side.